With the high demand for OEM services in Europe, the additional hangar will be dedicated to heavy maintenance events, including 96-month and 120-month inspections. Following the expansion, Bombardier's London Biggin Hill Airport facility will be able to service twice as many aircraft, including scheduled and unscheduled maintenance, modifications and avionics installations for Bombardier Learjet, Challenger and Global aircraft. "Customer satisfaction is a top priority at Bombardier. The new hangar and added technicians will offer our customers peace of mind and an exceptional level of support for all their maintenance needs. Bombardier knows its aircraft best, which is why we are seeing a great demand for our maintenance services in this region," said Jean-Christophe Gallagher, Vice President and General Manager, Customer Experience, Bombardier Business Aircraft. Since its inauguration earlier this year, Bombardier's London Biggin Hill Airport facility has supported over 40 maintenance events, including a Ka-band high-speed internet with Rockwell Collins Airborne Data Router (ADR) retrofit installation. This additional hangar will provide customers in the region with extended maintenance support, reinforcing Bombardier's commitment to Biggin Hill Airport. 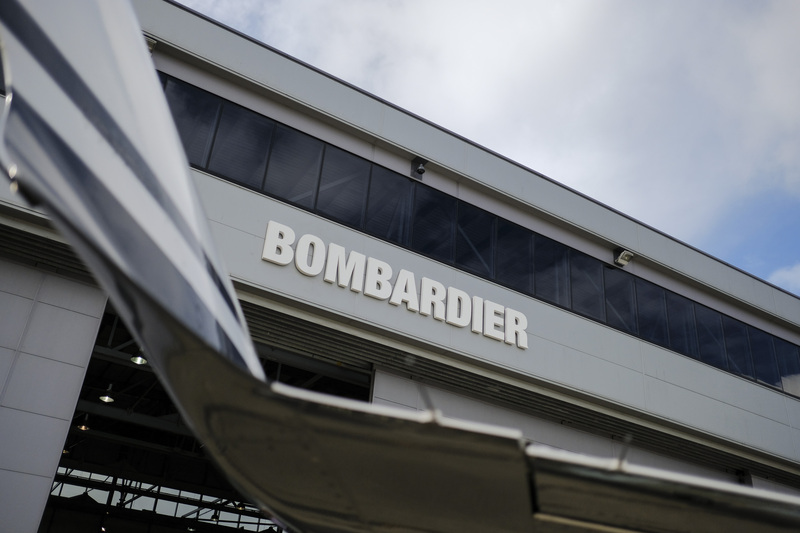 "This expansion is also a testament to Bombardier's dedication to growing business aviation in the UK and to strengthening its long-term relationship with London Biggin Hill Airport. We are committed to growing our customer support network worldwide, and to ensuring we offer aftermarket products that add value throughout the lifecycle of our aircraft," added Gallagher. Bombardier is headquartered in Montréal, Canada and our shares are traded on the Toronto Stock Exchange (BBD). In the fiscal year ended December 31, 2016, we posted revenues of $16.3 billion. News and information are available at www.bombardier.com or follow us on Twitter @Bombardier.